One of the most thrilling moments of your life is the moment that you and your partner decide to get engaged. Whether it involves a knee and a ring, a flash mob or just a quiet candlelit dinner at home, it’s a moment you’ll never forget. But that peaceful bliss is only temporary, because not long after the champagne and announcement, most couples fall head-first into the depths of wedding planning stress and chaos. The good news is that it doesn’t always have to be that way. If you’d like to make it to the alter without anyone becoming a bride/groomzilla or devoting every moment of your spare time to the minute details of planning a wedding, hand the reigns over to the event experts right here at The Kirby and J. Paul’s. One of the most challenging parts of getting married is simply coordination – arranging a ceremony venue, reception venue, hotels, transportation and deliveries so it all goes off without a hitch is not an easy feat. Do away with all that fuss by keeping everything contained to one, beautiful and intimate location where you can work closely and personally with the manager to check all the items off your list. When you have your wedding at The Kirby, you have the option of renting the entire hotel for your special weekend. You and your fiancé, as well as your closest family members and friends, can stay right here under one roof. And you won’t have to worry about transportation or timing because you can do everything here: the rehearsal dinner, photos, ceremony, cocktail hour, dinner, reception, post-wedding brunch and any other special events you’d like to include. 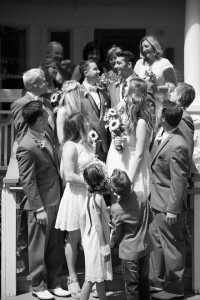 We can even host an outdoor wedding with seating for up to 100 on our lovely back deck and garden. Have you ever seen those insane binders that people use when they’re planning their wedding? They’re stuffed to overflowing with details about florists, officiants, cake bakers, photographers and more. It’s no wonder that it’s common for couples to experience serious stress and arguments during this process. If you’d prefer to ditch the vendor binder and let us do the work, no problem – we have excellent relationships with a wide variety of companies and individuals who provide wedding services and we’ll be happy to set up everything for you. 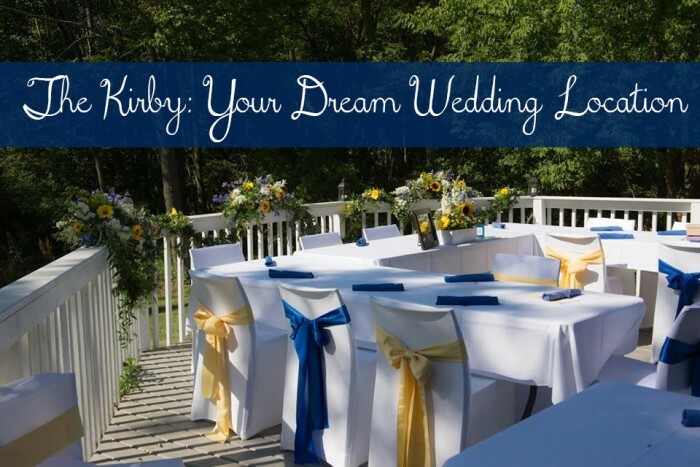 Unlike most wedding venues you’ll encounter, The Kirby doesn’t have a rigid set of packages you have to choose from. We will create a day or weekend that fits your needs, whatever they may be. We’ll invite you and your partner to come sit down for lunch or drinks with our manager and let you tell us about your vision for the occasion. 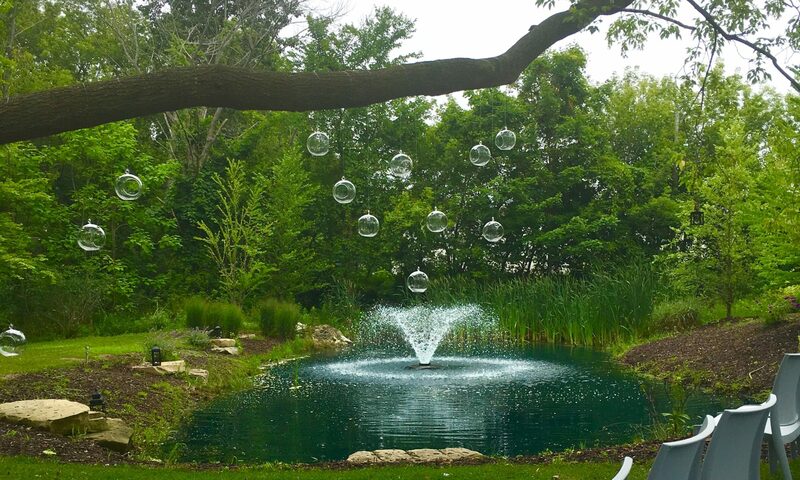 It’s not up to you to fit your dream into our offerings – it’s our job to arrange a celebration that meets your needs and lives up to your expectations. For example, you have the option of a formal, sit-down dinner, food stations (like a buffet, but cooler), heavy hors d’ oeuvres or anything in between. And we love coming up with a customized, unique menu that suits each couple. To give you an idea, we recently did a wedding for a couple that included a German native and a Michigan native, so the food represented both of their backgrounds. We featured a German food station with pretzel buns, beef tenderloin and spaetzle and local meats, vegetables and fruits for the Michigan station. If you’re entertaining the idea of having your wedding at The Kirby, please don’t hesitate to get in touch to learn more. We know that this is one of the most important times of your life and it would be our absolute honor to help you make your dream wedding come to life.